Getting ready for your first study trip abroad can seem a little daunting, but plan smart, and you’ll have a fantastic time without the worry of having forgotten something. 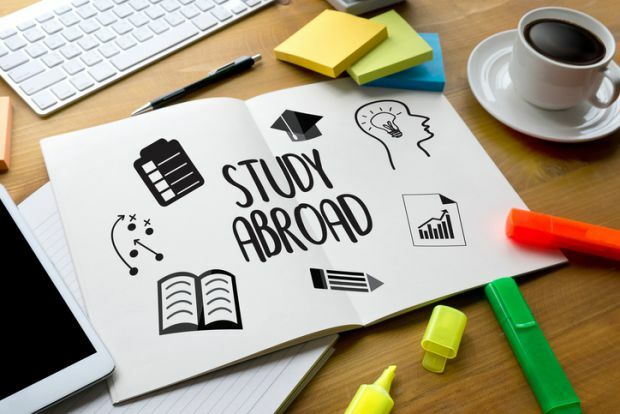 With that in mind, check out these 4 pro tips for preparing for studying abroad to ensure you make the most out of your trip. And no, we don’t mean your actual homework. Before you decide to travel abroad to study, it’s vital that you research where you’re going. Not only should you research the place of study, for example an Oxford summer school, but you should also consider looking into the surrounding area, any events you might enjoy and key places to see. It may sound like an obvious tip, but remembering to pack all of your documents, including visa forms, study documentation and resident papers, can mean the difference between a smooth transition and a real headache on your first day abroad. Pack your documents early on, and make a checklist of everything you need to bring. It’s also a good idea to take photocopies in case you lose anything. If you’re traveling abroad to study, chances are you’ll be there for at least a couple of weeks, and will therefore need to pack a suitcase. Pack smart and aim to travel light. Remember to check the weather for the destination and how it might change over the course of your stay. Rather than packing your big winter coat, try wearing it instead to save room in the suitcase. Think about what items you can buy once you arrive, this will help to free up more room in your suitcase. If you’re planning to study in a foreign country, this can sometimes come with additional costs for making phone calls or browsing the internet on your phone. Make sure you have a full understanding of these costs, and if you think they’ll be too much, consider buying a phone card or finding a local internet cafe which should offer a cheaper alternative than using your mobile to call home every other day. Another option is to set an agreed time for your parents to call you each day, letting them take the brunt of the costs involved.